Our trusty "apartment" refrigerator has been serving us well for many years. It's not much to look at, and it may have been dropped on some stairs at one point, but it's gotten the job done. Chrissy has been asking for something bigger, and nicer, for some time, but I could never justify replacing a functional refrigerator. 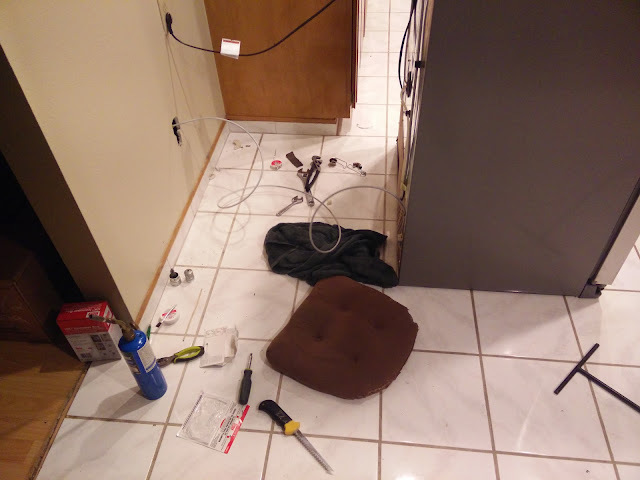 Then we got our last electricity bill, and I had my justification. You see, the door has been reluctant to seal recently, at least without a hip-check, and it appears it was left open for an extended period, raising our electricity bill significantly last month. Black Friday helped too. 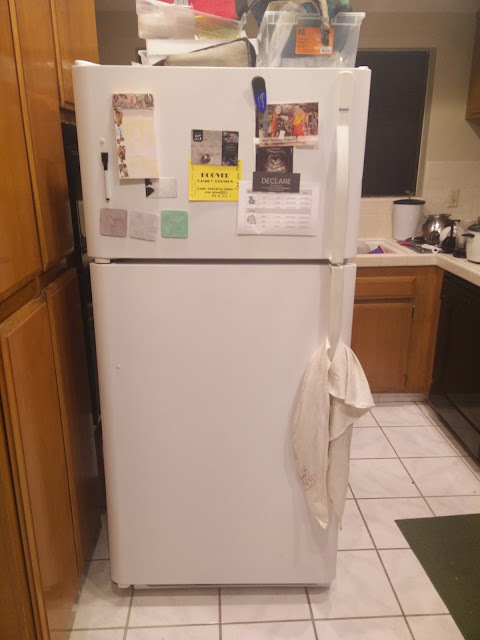 Anyway, we bought a new counter-depth fridge, which is a great concept because it doesn't stick way out into the kitchen, and the shelves aren't so deep that things get lost back there. 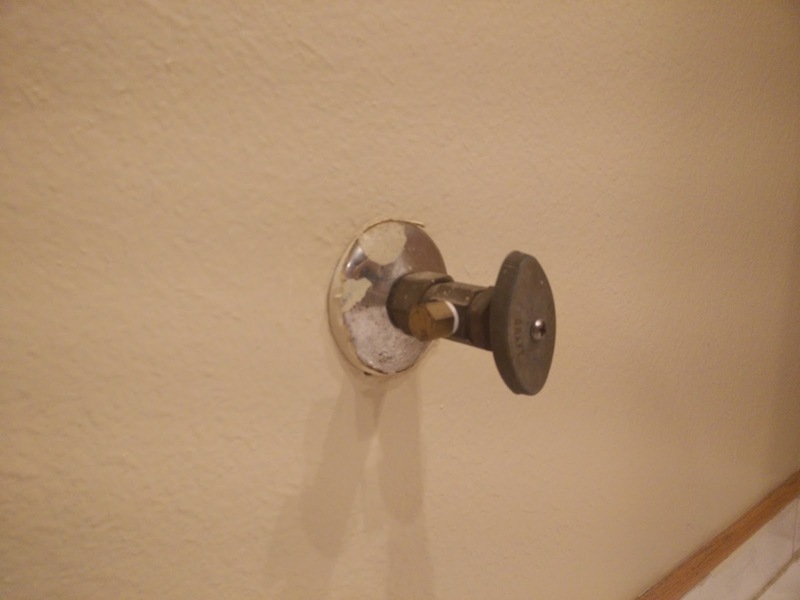 Even the plug is low profile, allowing it to snug up to the wall. 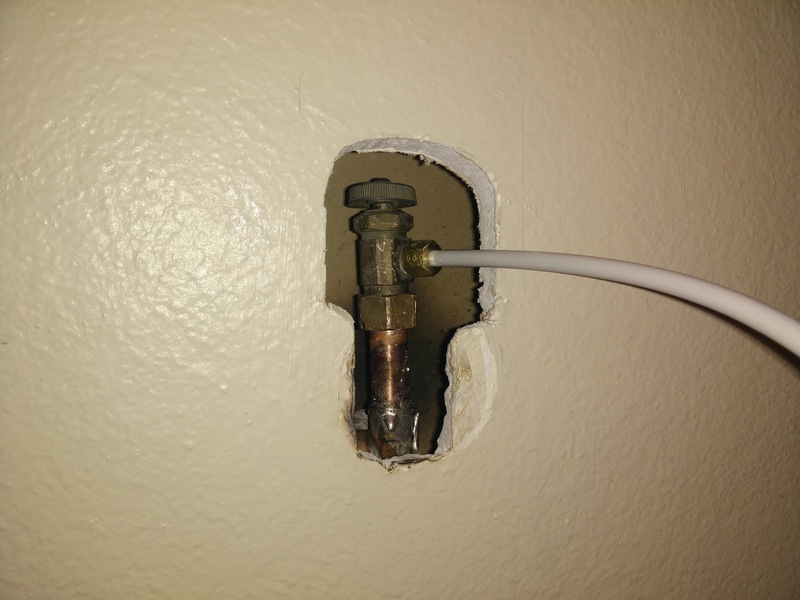 At least it would snug up if our water valve wasn't sticking straight out of the wall. I had to do something about this. 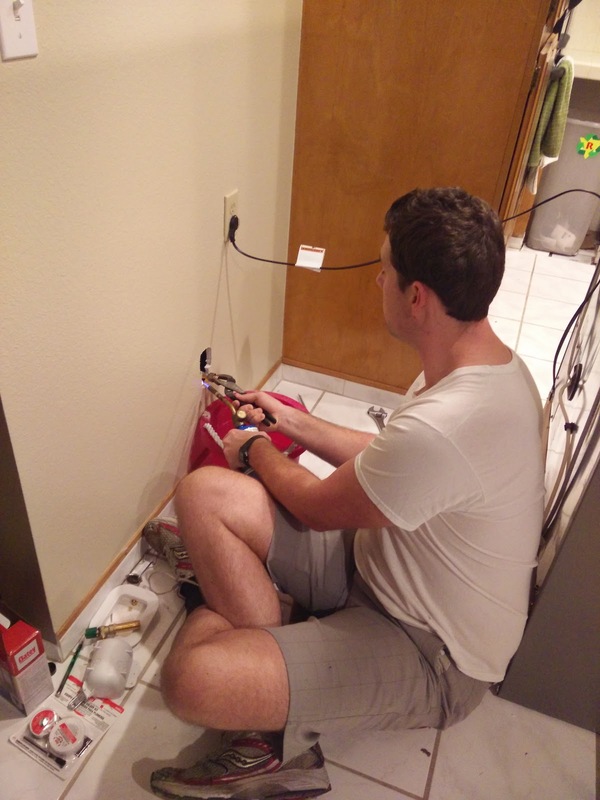 My plan was to remove the elbow that was thrusting it outward and install a receptacle. 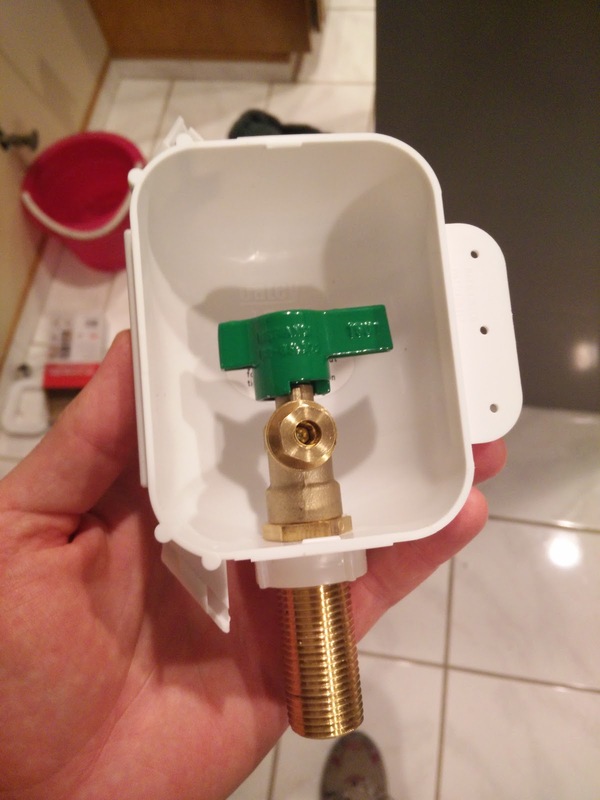 Oddly, you can't buy just the plastic box, so I ended up returning the new valve because it seemed like a waste of money, so ours wasn't going to look so fancy. I started by opening things up to see what was going on in the wall. 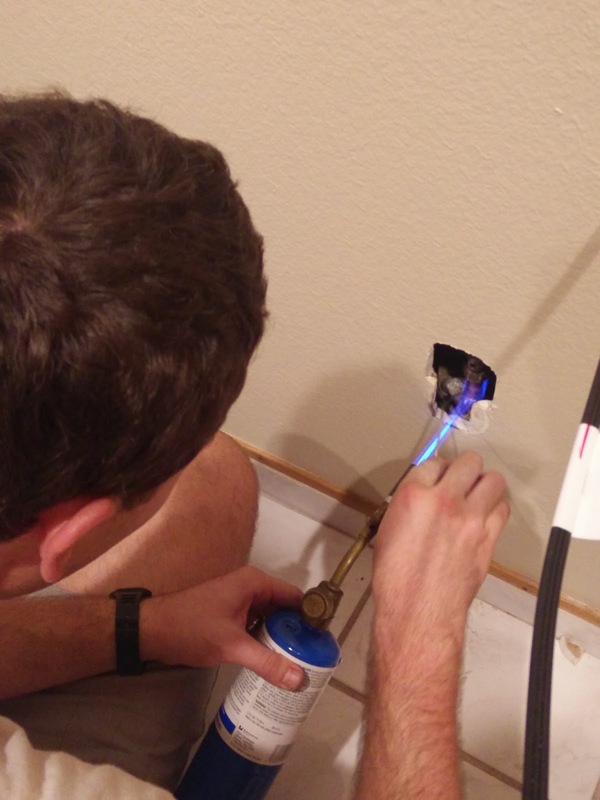 Then came the blowtorch. 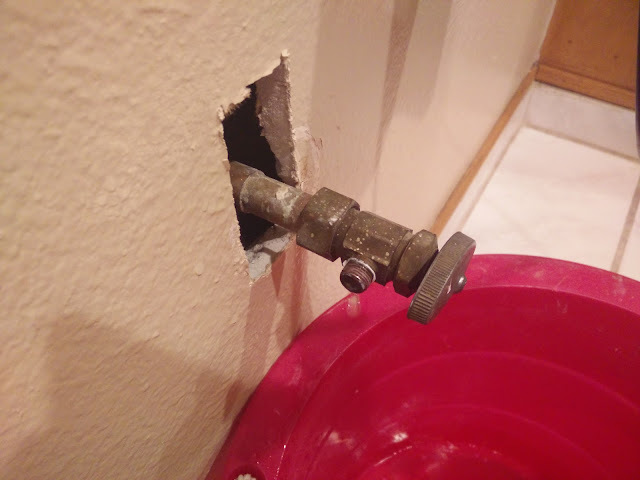 It was frustrating because this valve is apparently the lowest point in our home's plumbing, so it dribbled water for a very long time before I could work on it. Eventually I was able to remove the offending elbow. After cleaning up the old parts, I soldered them in their new orientation. 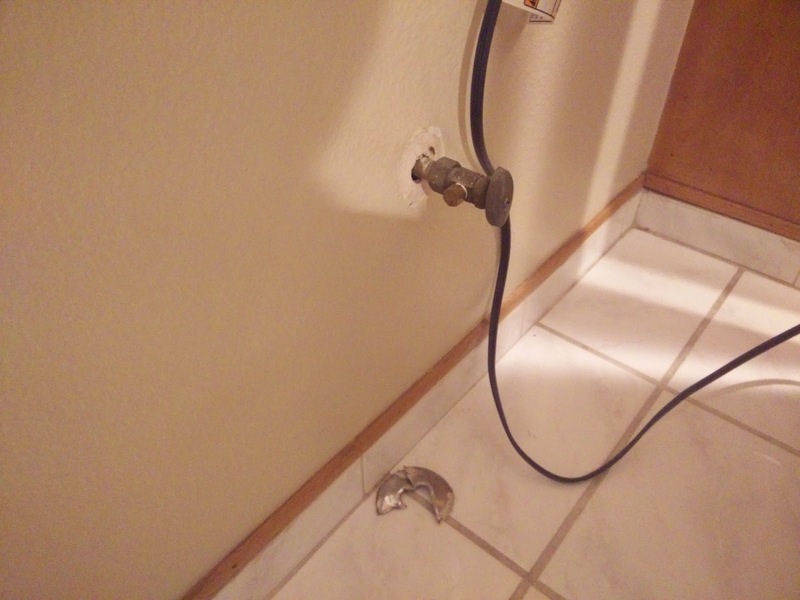 This was my first time soldering on plumbing, and it went pretty darn well, if I do say so myself. Here's what the valve looked like after soldering. If you're curious we bought a Whirlpool from this site. 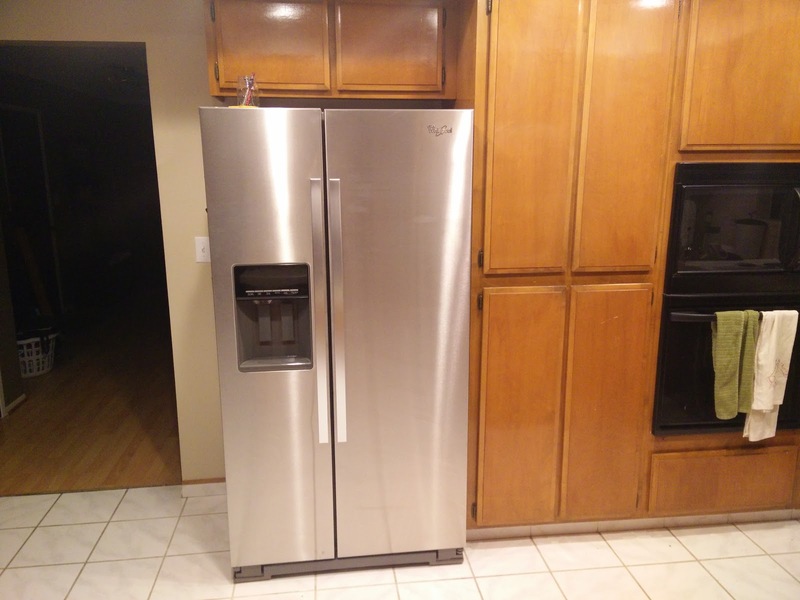 It is basically the cheapest counter depth fridge you can get, and we got it on sale. It's other big selling point for me is the separate ice and water triggers. Oddly, the website listed it as Energy Star qualified, but it actually is not, so I demanded compensation and was refunded $50. I'll take what I can get.